“Roy 365 days, seven days a week. Roy has no weaknesses in his game,” – Kobe Bryant when asked in 2010 who is the toughest opponent to guard. 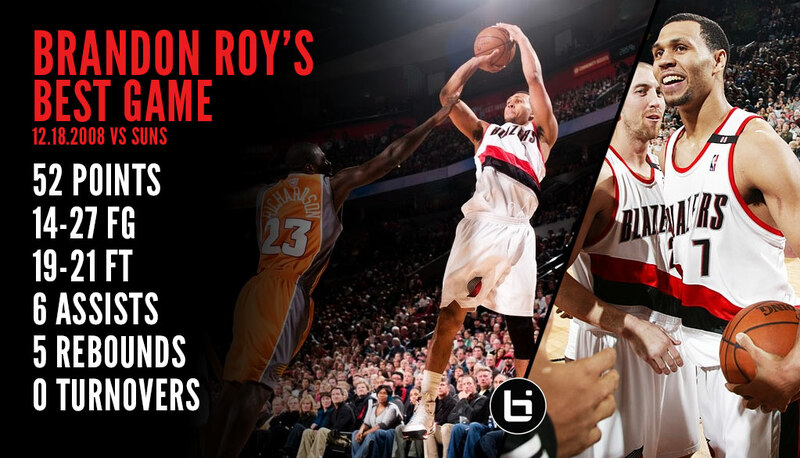 Before Damian Lillard, there was Brandon Roy on the Portland Trailblazers. The 2007 rookie of the year and three-time All-Star was a two-time All-NBA Second Team selection and the next in line to challenge Kobe for the title of best shooting guard in the league. But knee injuries prevented that from happening and eventually caused him to retire in 2011 at the age of 27. He attempted a comeback in 2012, but after just five games he needed to have a season-ending knee surgery, which forced him into a second and final retirement. 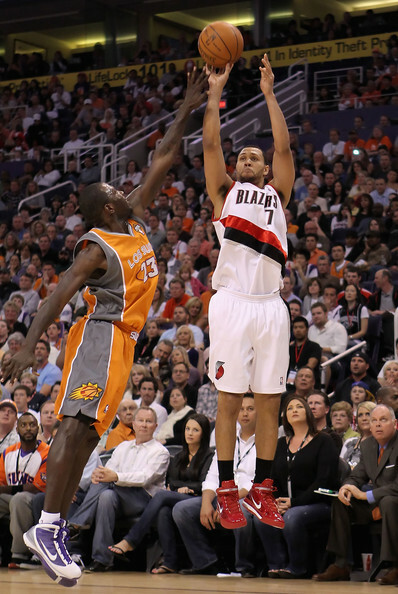 On December 18th of 2008, the world got to see what the Portland star was capable of when he dropped a career-high 52 points (14-27 fg, 19-21 ft) on Steve Nash and the Phoenix Suns on a nationally televised game. The 52 was two shy of Damon Stoudamire’s franchise record of 54 set back in 2005, but it was two more than Blazer great Clyde Drexler. Maybe not, but I believe if it wasn’t for his injuries we would have seen a lot more “unacceptable” performances by Roy.